Caring for a loved one can be stressful and challenging. When you are caring for aging adults there will inevitably be good days as well as bad days. Respite care is designed to give family caregivers a much needed break. Of course you will want to be sure that the professional you bring in for respite care will help your loved ones with as much care and compassion as you do… This is where Value Care can help. More Help. Less Worry. 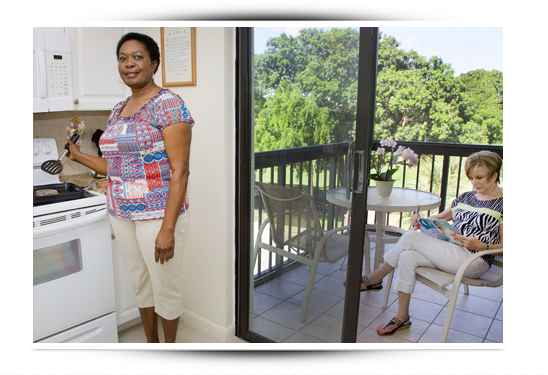 We take pride in matching qualified caregivers with our clients in need. Through our Care Match Program we consult with every client to determine what their exact care needs are. We then match them with caregivers who best fit those needs. We thoroughly screen each caregiver who registers with us based on state requirements, plus a special program we call our FIVE STAR PROMISE. This screening process goes above and beyond basic legal requirements to help us refer better qualified and experienced professionals who will make all the difference for those wanting respite care. At least one year prior experience in-home health care. Aptitude in transfer techniques to be able to move clients between seating, beds, wheelchairs, etc. We want to be sure all of our clients’ needs are met, which is why we offer our First Day Satisfaction GUARANTEE. We follow up after the first visit to make sure everything is running smoothly and our clients are satisfied with their private caregiver. By applying these programs we can confidently refer caregivers to take care of your loved ones while you are recharging. Everyone needs an emotional and physical break sometimes, so rely on Value Care to refer qualified respite care to help your loved ones as much as you do.